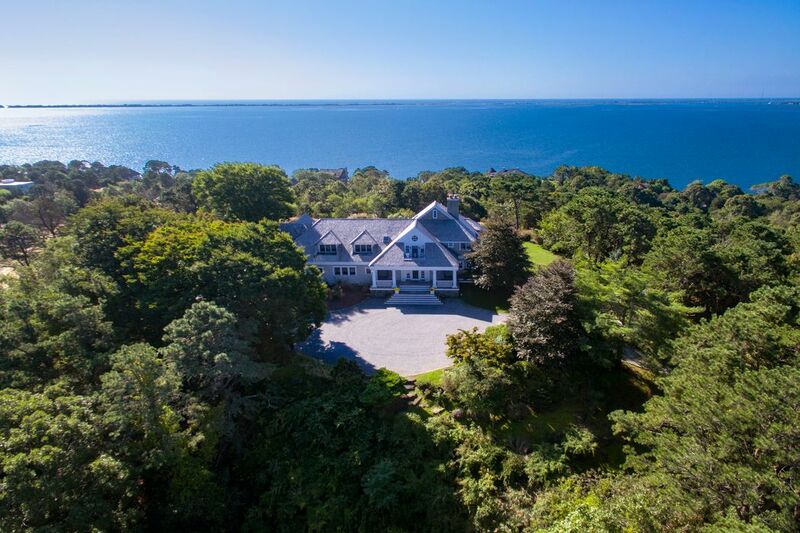 "Above It All" Atterbury Estate Southampton, NY 11968 | Sotheby's International Realty, Inc.
$6,995,000 6 Bedrooms7 Full Baths7,000 sq. 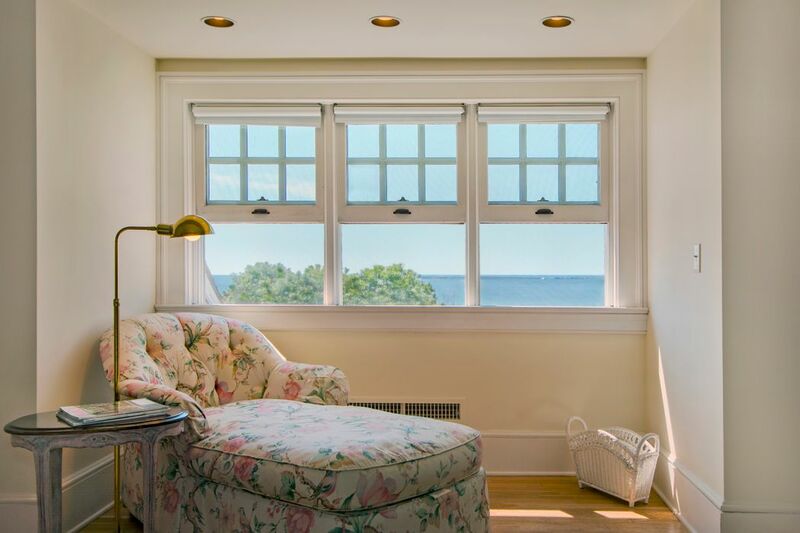 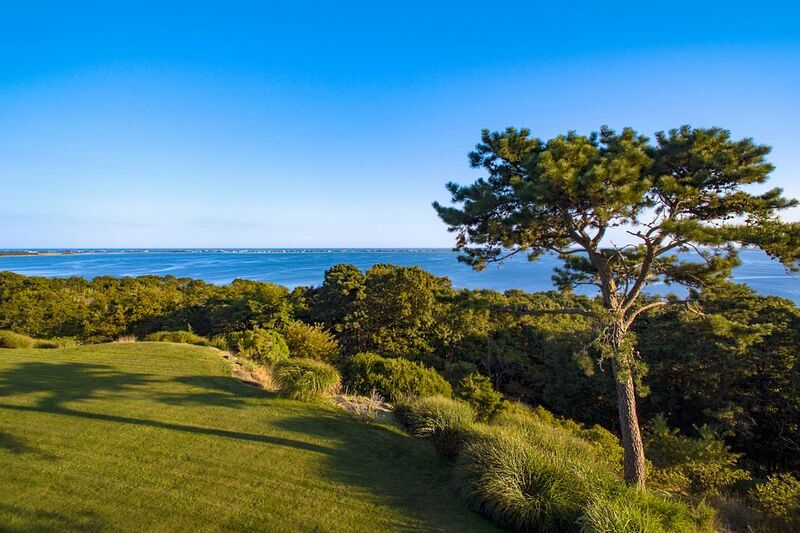 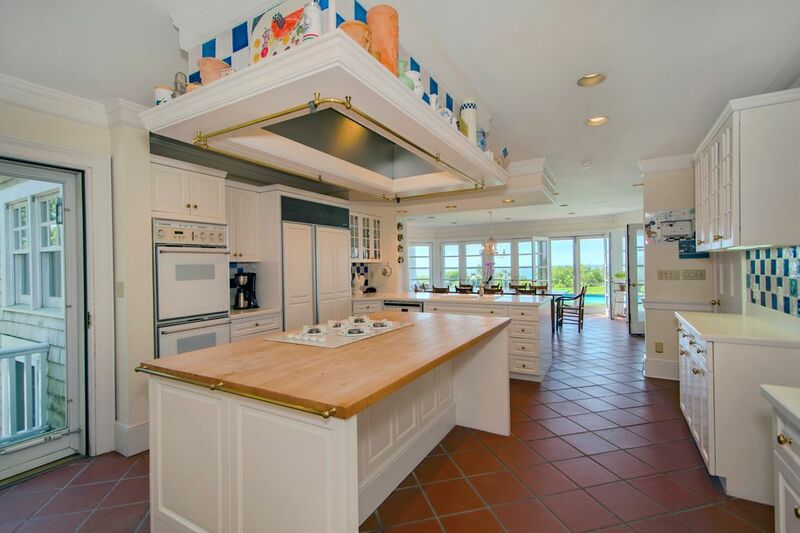 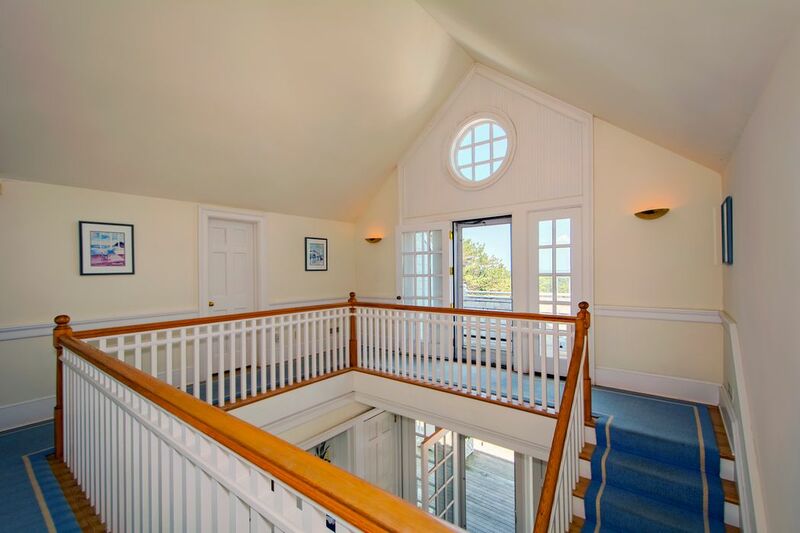 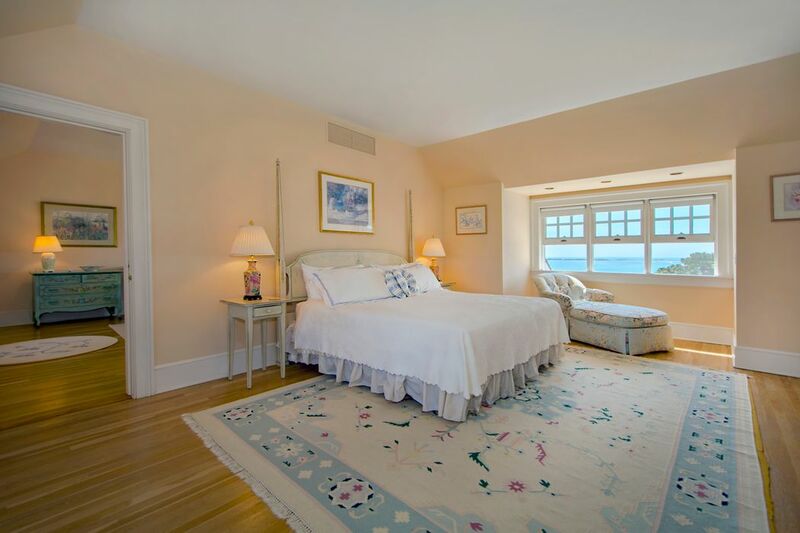 ft.
Sited at the highest point of the historic Atterbury Hills Estates, with almost 360-degree views of Shinnecock Bay, the Atlantic Ocean and the Great Peconic Bay, "Above It All," the property with a 7,000 +/- sq. 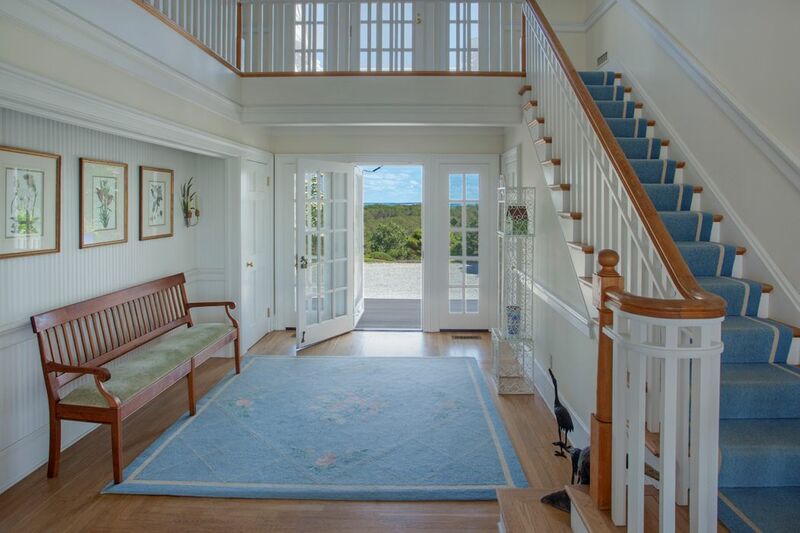 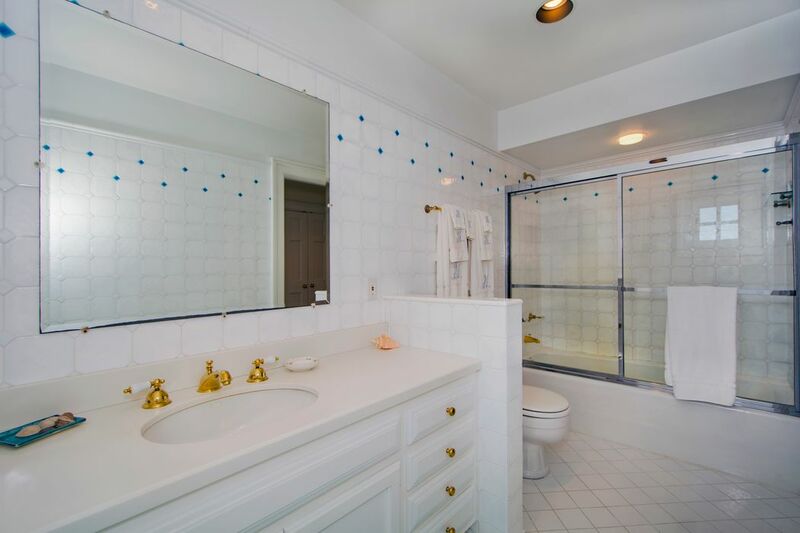 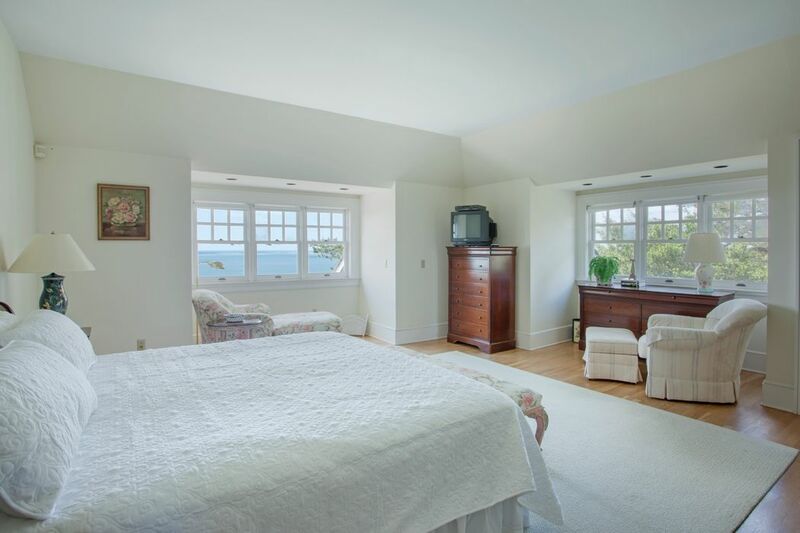 ft., six-bedroom, seven-bath traditional home offers idyllic seclusion. 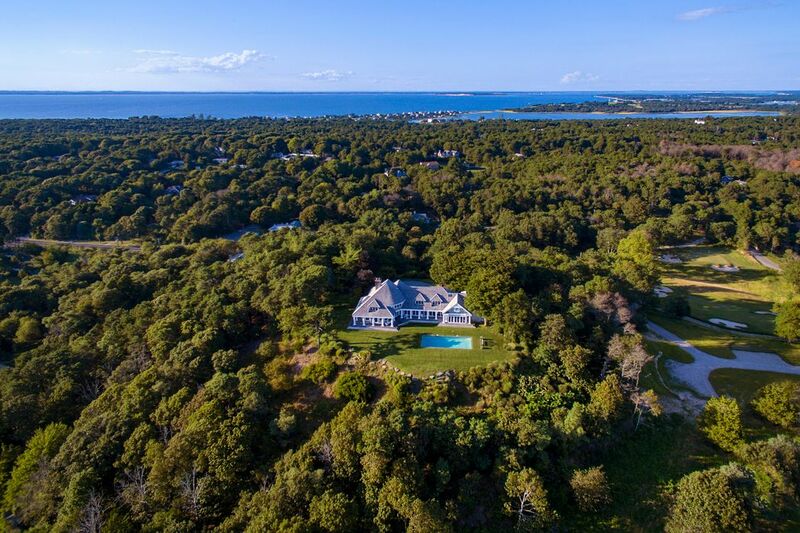 Shrouded by acres of dense woodland, the driveway rises to the residence's hilltop setting with 4.5 +/- sub-dividable acres and beachfront with mooring rights. 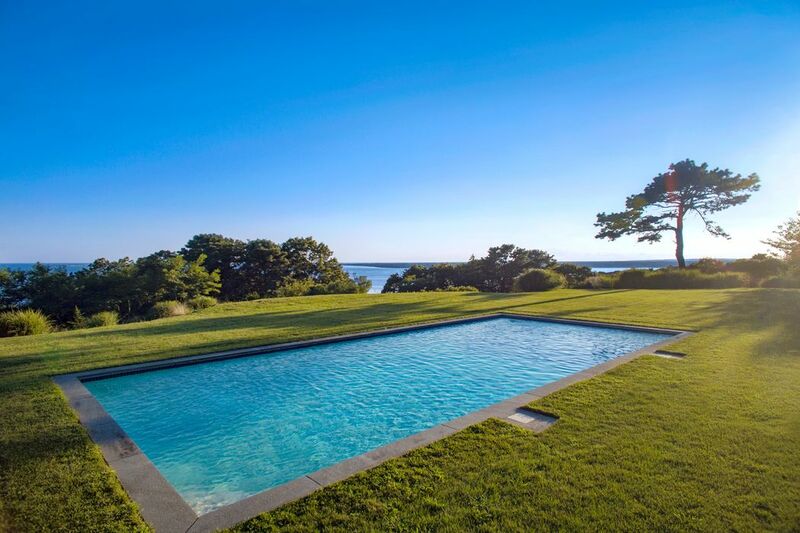 Bask in the heated 20' x 40' Gunite pool or lounge on the wraparound decking with morning to evening breathtaking water views. 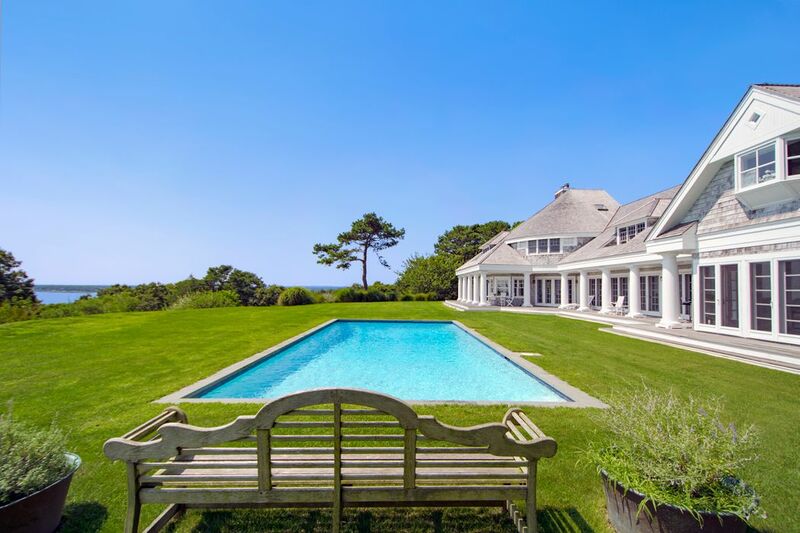 Mature landscaping add to the painterly setting. 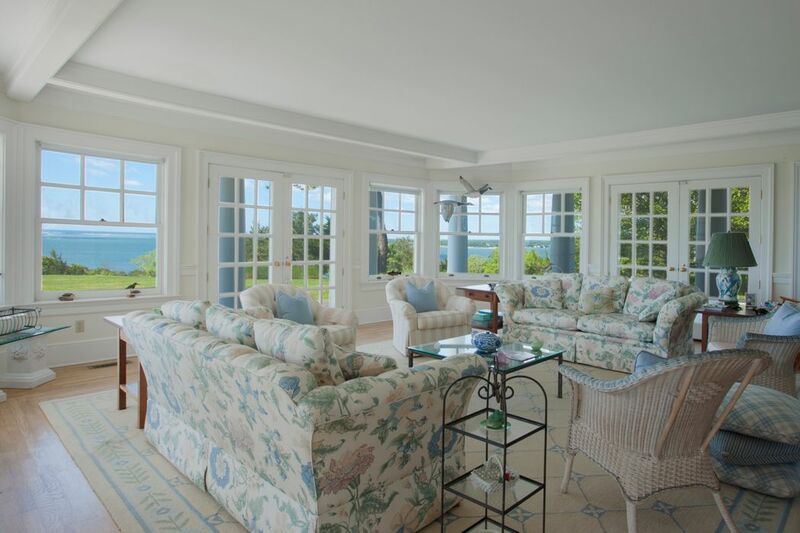 The double-height entry offers immediate views to Shinnecock Bay and ocean, and a full-length gallery with French doors leads from the living room with double-sided stone fireplace and wet bar, to the den with full bath, formal dining room, and dine-in chef's kitchen with butler's pantry and breakfast nook. 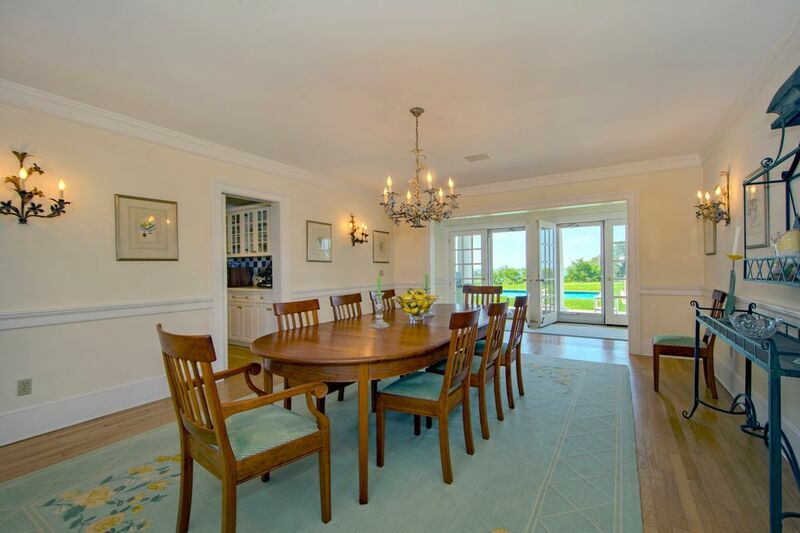 Entertain 12 or more guests from the informal dining/family room area and another 12 or more in the formal dining room. 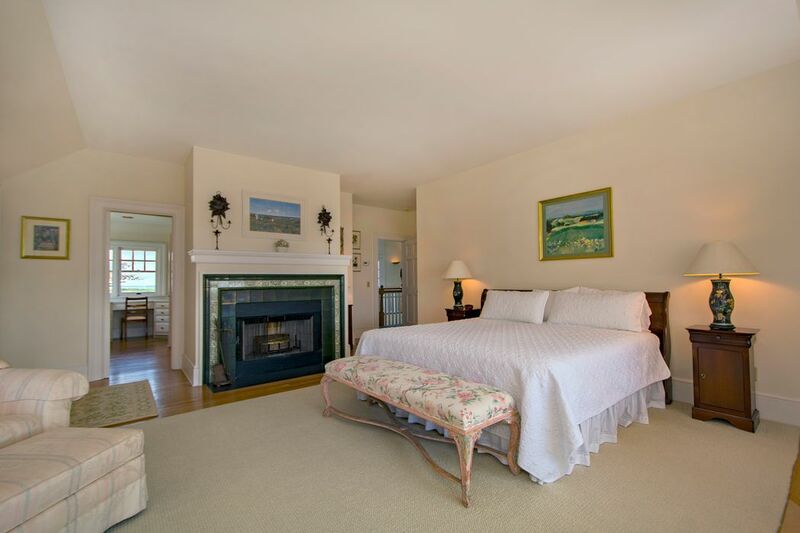 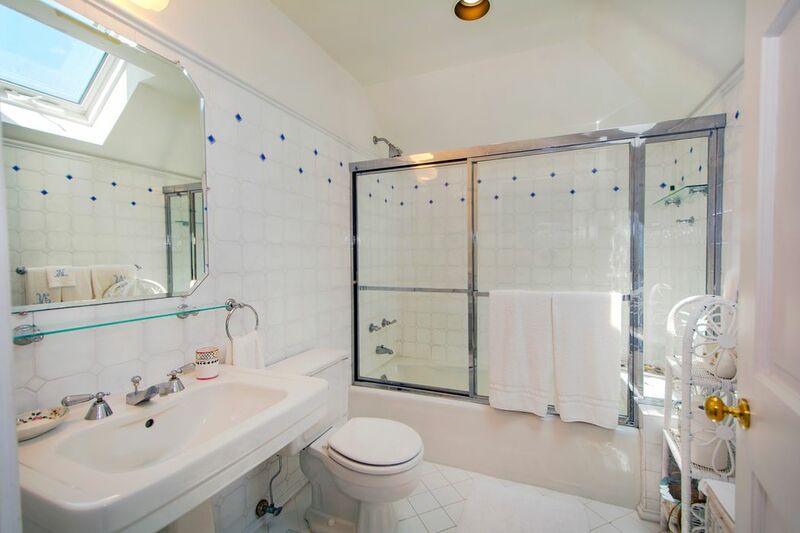 The separate bedroom halfway between the first and second floors on the back staircase is ideal for staff while the second level master suite with fireplace includes a dressing room with breathtaking views. 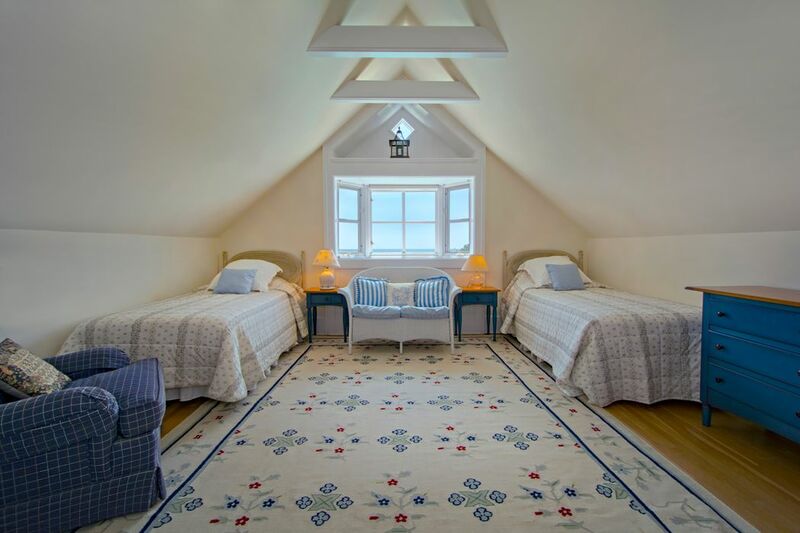 Five more en-suite bedrooms share the second floor and views while two of them are connected by a set of double doors, perfect to offer large groups of guests' privacy. 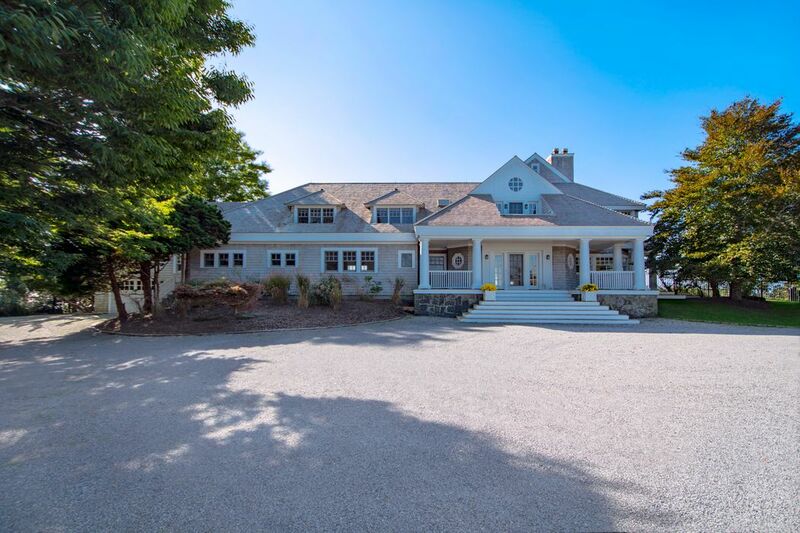 Round out the residence with a first floor sound system, attached single-car garage, separate laundry room off the kitchen, with a side delivery/service entrance. 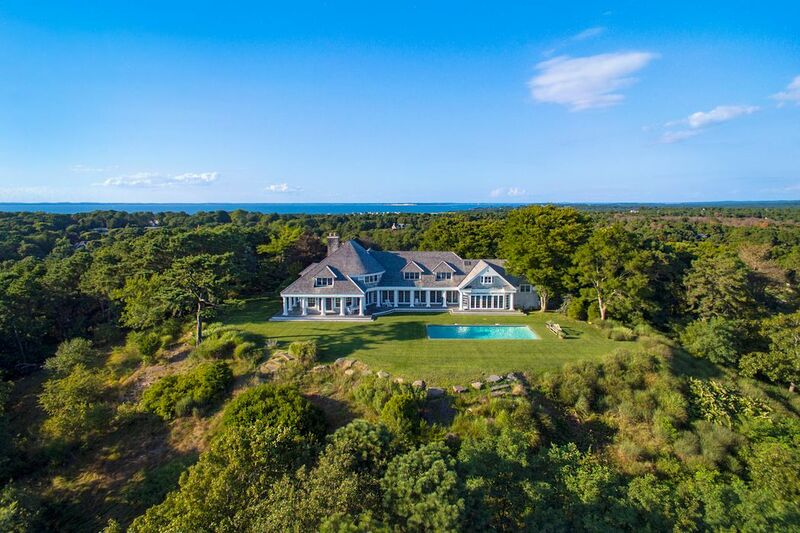 This is the kind of estate that you never want to leave, yet is deceptively close to Southampton Village and the major Southampton golf courses.